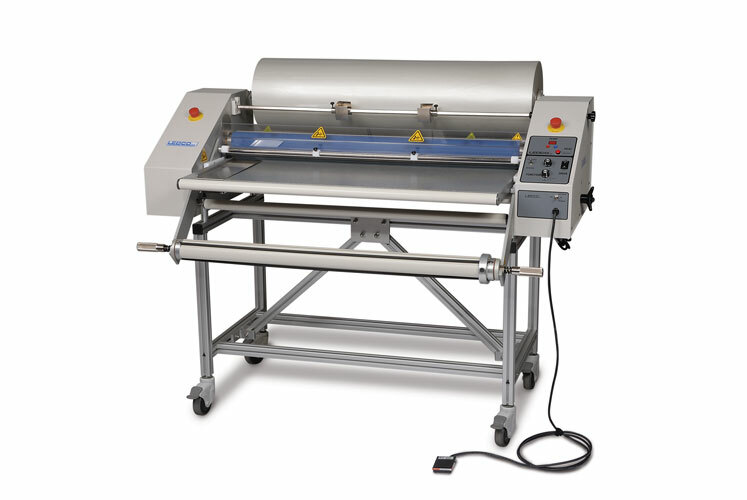 The Signmaster 44 inch wide laminator has a heated roll for single side lamination. The Signmaster combine all the tasks of a sign shop into one machine. Transfer tape application, vinyl application to sign blanks, mounting - over laminating using thermal mounting pouches, one side lamination using pressure sensitive films. The SIGNMASTER is designed to provide quality lamination of a wide range of papers and materials up to ½ inch thick using film up to 10 mil thick. The SIGNMASTER thermal roll laminator automates the application of transfer tape, and other pressure-sensitive adhesive (PSA) tapes, films or thermal mounting pouches. SIGNMASTER conveniently and easily applies transfer tape to weeded vinyl, transfer-taped vinyl to sign blanks, and will apply clear PSA over laminates to finished signs or promotional materials and doubles as a pouch laminator. SIGNMASTER laminators are ideal for mounting applications and can accept substrates up to ½ inch thick. Designed for sign and graphics applications, SIGNMASTER machines are used in many settings, including sign shops, photo-finishing labs, reprographics shops and manufacturing plants. When signage is ruined during the taping or application process, the cost of re-cutting, re-weeding, and reapplying will usually take all the profit out of a job. Whether it’s transfer tape, vinyl, sandblast or acid resist tape, pre-masks, adhesive film, clear polyester, or other pressure-sensitive material, an SIGNMASTER applicator will put it down effortlessly with no bubbles or wrinkles. Using an SIGNMASTER is much easier than doing the same work by hand. Fast and versatile, it requires little instruction for you to be up and running. Supply roll tension is controlled with knobs. SIGNMASTERS are forgiving. They will apply most materials under a wide range of speeds and pressure or tension settings. The SIGNMASTER is a heavy-duty commercial laminator designed for the most rigorous and demanding jobs and workloads. 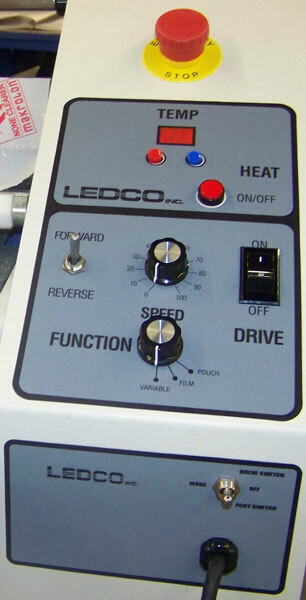 The new laminator has several standard features that set it apart from other models. Weight / Shipping Weight 550 lbs. / 700 lbs. Maximum Diameter Roll of Film 14"